Designwrite offers a proven reliable and prompt service. With return clientele Australia wide, you can be assured of quality. Your embroidered business wear should reflect your business and quality designs are paramount. With inhouse program design (digitizing) you can be assured that your logo will be replicated to the highest quality and sampled for your approval before being stitched onto your garment choice. 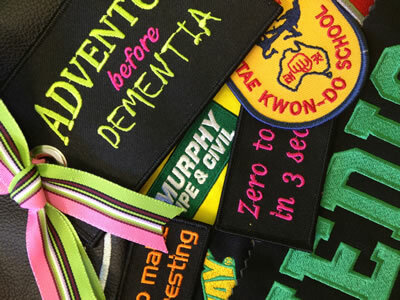 Designwrite provides digitizing to embroiderers Australia wide aswell and ensures competitive pricing and turnaround times. Browse our online catalogues to find the team wear or business wear that suits your requirements, keeping in mind that embroidery is not limited to clothing or garments. In most cases, if we can frame it…we can embroider it. Feel free to supply your own garments, the options are endless.